It was just a baby-tooth-sized nibble of a peanut butter sandwich — but it was enough to send 18-month-old Gus into a violent coughing fit. Within minutes, his skin erupted into hives, and his eyelids swelled shut. His mother, Laura Hass, rushed him from their Palm Beach, Florida, home to the ER. At a red light, she glanced in the rearview mirror — her son's head hung limply to one side, his cries replaced by silence. Gus had suffered — but luckily survived — anaphylaxis, a potentially fatal reaction. Tests later revealed he had allergies to peanuts and tree nuts, like almonds and hazelnuts, the mere scent of which makes his eyes and throat itch. Now 5 years old, Gus politely refuses his friends' high fives, lest they bear traces of M&M's or other nut-containing products. Hass carries baby wipes everywhere, cleaning every surface within his reach. Yet Gus still suffers a reaction roughly once a month, and he's experienced around 20 anaphylactic episodes besides. More from Ozy: How does money smell? Gus knows his allergies can kill him. "He asks tough questions," Hass says. " 'What happens to kids who die from food allergies? Are there food allergies in heaven?' "
At present, no treatment exists for nut allergies. An EpiPen can quell severe reactions, but the only widely accepted preventive measure is vigilant avoidance. It's rarely vigilant enough. That's why researchers at the U.S. Department of Agriculture have shifted their focus. Instead of treating people who suffer from nut allergies, they're trying to treat the nut. That means "disrupting [the] structure" of nut proteins, says Christopher Mattison, a molecular biologist at the USDA's Agricultural Research Service. Understanding how this works requires a bit of biology. Nut allergies typically flare when an antibody in the immune system, immunoglobulin E (IgE), binds to the nut's protein, triggering a reaction. So scientists have devised a clever tactic to trick IgE: modifying the shape of the proteins so the antibody can't recognize them. To that end, Mattison and his colleagues treated proteins from cashew nut extract — proteins similar to those found in many other nuts — with a combination of heat and sodium sulfite, a chemical often used as a food preservative. Both disrupt crucial chemical bonds that help hold nut proteins intact, basically dicing them into smaller pieces. The researchers then mixed modified and unmodified cashew proteins with IgE from people allergic to cashews. Sure enough, roughly 50 percent less IgE latched on to the altered proteins, as described in the Journal of Agricultural and Food Chemistry in June — indicating that the modified cashew proteins might at least dampen the severity of an allergic reaction. But "there's plenty of work to be done before we can extend [this] into ... a practical solution," says Mattison. So far, scientists have only extracts, not whole nuts; at this stage, it's hard to know what a modified nut would taste like. And while the scientists have reduced IgE binding, they haven't eliminated it altogether — which doesn't help patients sensitive to even the tiniest amounts of nut protein. Still, the possibility excites Hass and others. 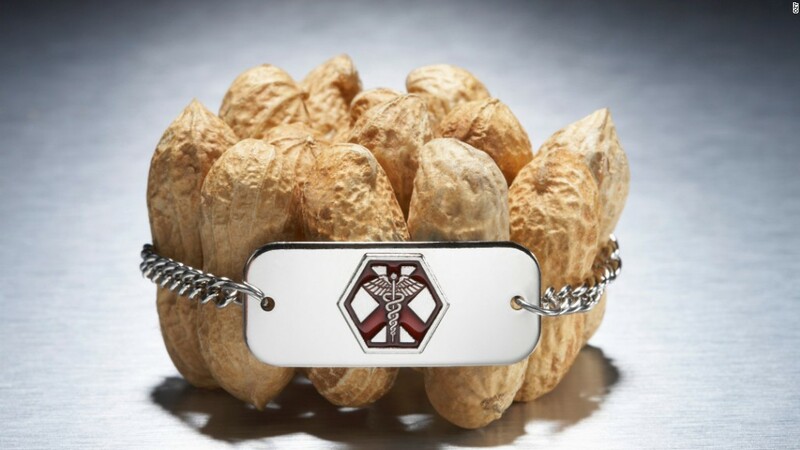 Peanut and tree nut allergies plague an estimated 19 million kids and adults in the U.S., and the number of children with peanut allergies in the U.S. has tripled in just over a decade. Earlier studies have used similar treatments, but with harsh, laboratory-grade chemicals. The new study is the first to use a compound — sodium sulfite — that falls under the Food and Drug Administration's "generally regarded as safe" category, bringing modified nuts a step closer to being made as a food product. Still, hypoallergenic nuts probably won't appear in supermarket aisles for several years. First, Mattison and his team want to tweak the treatment process so they can use a smaller amount of sodium sulfite, or an even milder alternative. They also want to explore whether the process can be applied to other nut proteins. So far, preliminary tests have revealed that it significantly alters the the structure of some peanut, pistachio and pecan allergens. They're also working to modify whole cashews, not just cashew extract — and to ensure that modified nuts taste the same as their unaltered counterparts. They'll also eventually need to test the method in a living system, such as mice and actual cells. Mattison's approach, treating the allergen instead of the patient, is the opposite of oral immunotherapy — gradually scaling up consumption of allergy-triggering foods to dull the immune system's sensitivity to them. Oral immunotherapy has shown promise, but building tolerance can take months. In a clinical trial, 84 percent of children tolerated the equivalent of about five peanuts, but only after 26 weeks of therapy, as described in The Lancet in January. And patients could still suffer severe allergic reactions as their immune systems learn to tolerate the offending food. In contrast, nut allergy sufferers could theoretically eat however many allergy-free nuts they want, whenever they want. Even if researchers do successfully manufacture hypoallergenic nuts, some view them as the second-best solution. "My preference ... would be to actually decrease the allergic response of the individual," says Jessica Martin, a food allergy blogger whose son is allergic to pistachios, cashews, a host of other tree nuts and about 15 other foods. Oral immunotherapy "is the holy grail in my mind. I want a cure." But other parents, like Hass, would embrace even a quasi-fix. "Anything helps."